According to employment law in the UK, Statutory Sick Pay (SSP) is the amount paid to employees who have taken leave from work due to illness. It is a legal requirement for employers to offer Statutory Sick Pay to their employees, at a flat rate of £92.05 per week, for up to 28 weeks. If an employer wished to pay any other amount beyond SSP, it will be classed as a contractual excess. 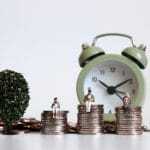 Furthermore, most employees in the UK are covered by this scheme, but those who are not may seek Employment Support Allowance when they are off sick. Sickness absence can have a significant impact on the performance and productivity of any business. 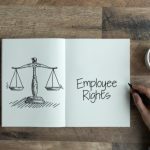 This makes it essential for employers to fully understand employee rights on Statutory Sick Pay (SSP) and the circumstances in which it applies. 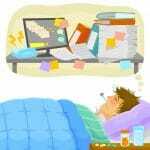 When do you get Statutory Sick Pay? To receive Statutory Sick Pay, you must have been sick and unable to work for a minimum of four consecutive days (including bank holidays and weekends). Furthermore, you are not eligible to get Statutory Sick Pay for the first three days that you are ill, according to employment law in United Kingdom. However, if you were receiving SSP sometime in the previous eight weeks and go off sick again, the SSP will restart again from the first day you take off work. You must be earning at least £116 per week on average (from April 2018). This is before tax deductions and National Insurance contributions. Also, if you are still sick after the 28-week period, you may be able to switch to Employment and Support Allowance (ESA). 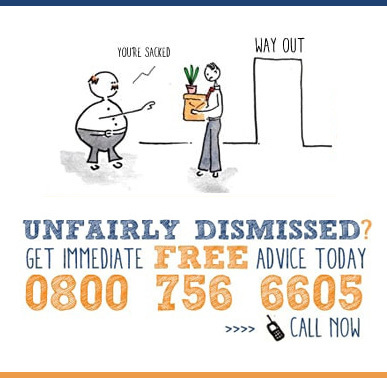 If you suffer unfair dismissal whilst you are off sick, your employer can stop the SSP as well. Having said this, if you have more than one job, you may be eligible to receive SSP from each employer. What Proof of Sickness do I Need? First, you must inform your employer of your sickness and request time-off within seven days of you illness, or by the deadline set out in your employment contract. If you are off sick for more than seven consecutive days, you must also provide a sick note from your GP as proof of sickness. Having said this, you don’t have to produce evidence of sickness to your employer any more than once a week. Who Cannot get Statutory Sick Pay? have been claiming ESA within the eight weeks prior to taking off sick. Since April 2018, the rate for SSP is £92.05 per week and will be paid on daily basis, where appropriate. You may also be eligible to receive Income Support, depending on your situation. Statutory Sick Pay is usually paid on the same day as your salary or wages, by your employer. Also, it is a taxable income and therefore, it is subject to National Insurance contributions. You can receive Statutory Sick Pay (SSP) of £92.05 per week, for up to 28 weeks. However, you will not get SSP for the first three days you are off unless you have been paid SSP within 8 weeks prior to this and are eligible for it again.